So, why did the turtle cross the road? To get to the Shell Station, of course! 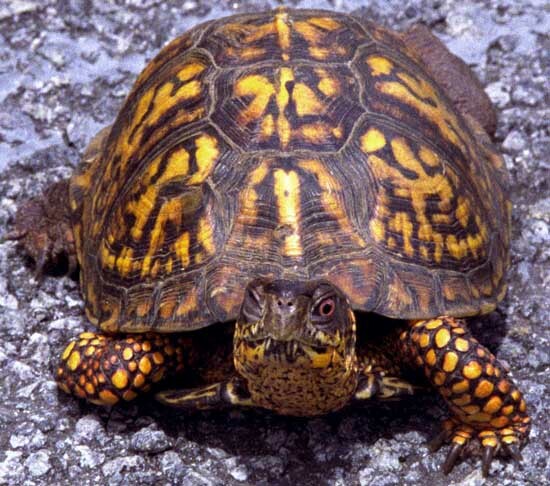 O.k., really…what makes a turtle, or any other critter for that matter, attempt such a feat as crossing a busy local road or even a 6 lane interstate highway? Regardless of what we may think it is not because the animal kingdom is secretly conspiring to inconvenience the human race. In the case of the turtle it has had over 230 million years to hone its survival instinct which can best be described as conditioning for preservation of the species. Through adaptive evolution the female turtle has been programmed to leave the watery environment where she spends most of her life and seek out the best upland areas with sandy or gravelly soil (including my butterfly garden and various locations within my back yard) where she is most likely to successfully produce the next generation of turtles. 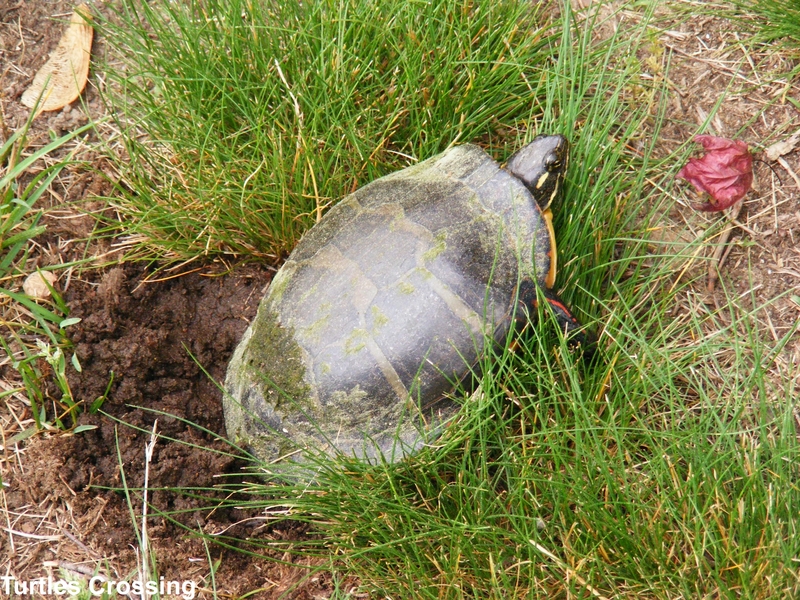 This is problematic for all turtles when their nesting habitats, which typically consist of open, sandy, well-drained upland, are bisected from their watery environs (which, again, varies from species to species) by a road or other manmade impediment. 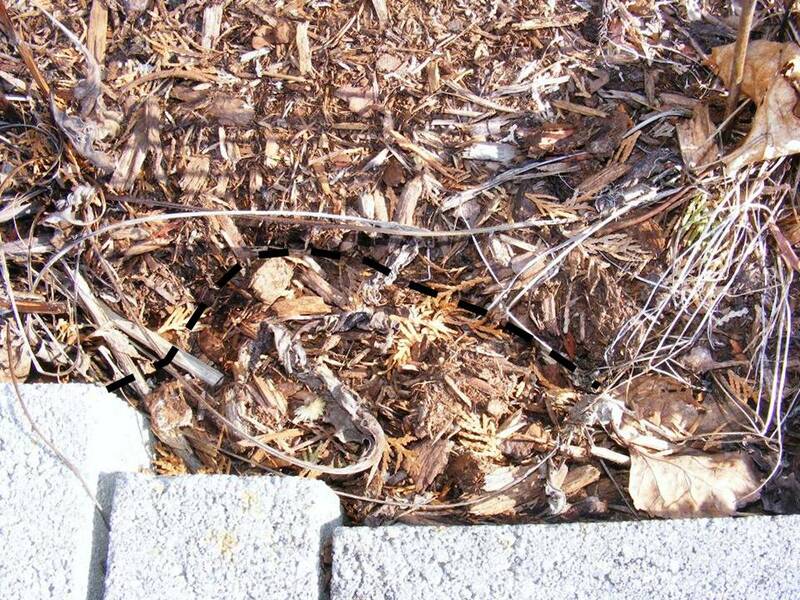 A related phenomenon which causes mortality occurs where causeway construction, or road maintenance, has created sandy open areas suitable for nesting habitat immediately adjacent to the road shoulder or in the case of J.F.K Airport in between runways. In this instance, turtles are often killed after incidentally ending up on the road surface while scouting for a preferable nest site. 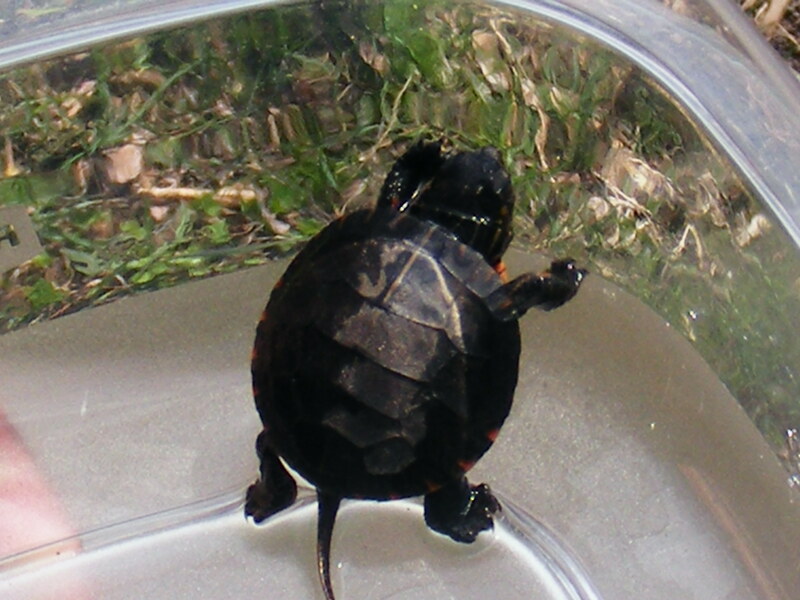 In the summer of 2011 runway 4L was closed due the spawning migration of the diamondback terrapin (Malaclemys terrapin). Eastern box turtle (Terrapene carolina carolina) crossing a road. 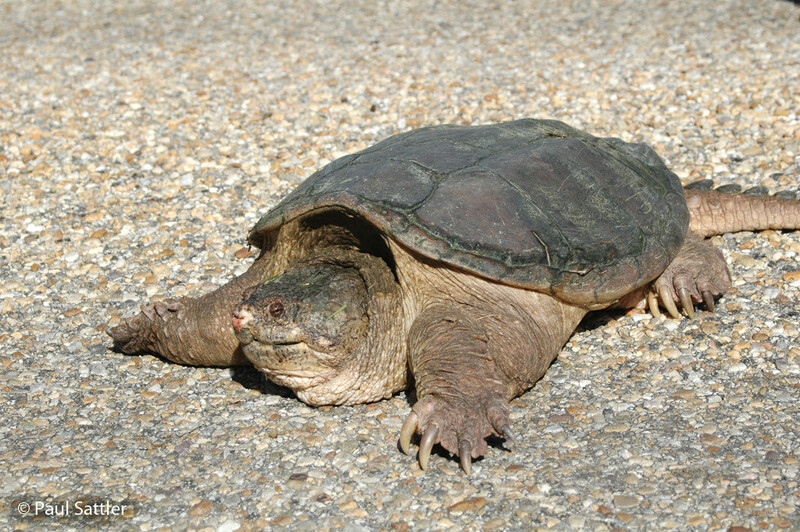 Journalist Natalie Angier in a 2006 NYT science article states that in man-kind “this Mesozoic era creature may have at last met it’s mortician.” Most experts agree the cause of world-wide declines in turtle populations includes habitat loss, either by outright conversion or indirect fragmentation (can’t get there from here) and a high rate of decline from road mortality and harvest for importation to the Far East as a gourmet delicacy and for traditional medicinal purposes. Basically the slow and steady reproductive pace of turtles, some which may not be physically capable of producing offspring for 40 or 50 years, just cannot keep up with the high rate of adult mortality. Research indicates that unlike all other animals studied, the organs of turtles do not age or become less efficient over time. Even after a century and a half the vital organs are indistinguishable from that of a juvenile. Researchers have even gone so far as to say that a turtle may live indefinitely (if not lost to disease or trauma). How ironic it would be if humankind, having spent its entire existence on earth seeking immortality, were to destroy the one thing it has always sought due to a selfish lack of consideration for another living organism? So PLEASE watch out for mother turtles crossing the road as they are now seeking out higher ground to lay their eggs. Please avoid hitting them and if possible, help the turtle cross the road. BUT REMEMBER to always move the turtles in the direction that they were originally heading. If they are moved back to the side from which they were crossing they will just try to cross the road again. 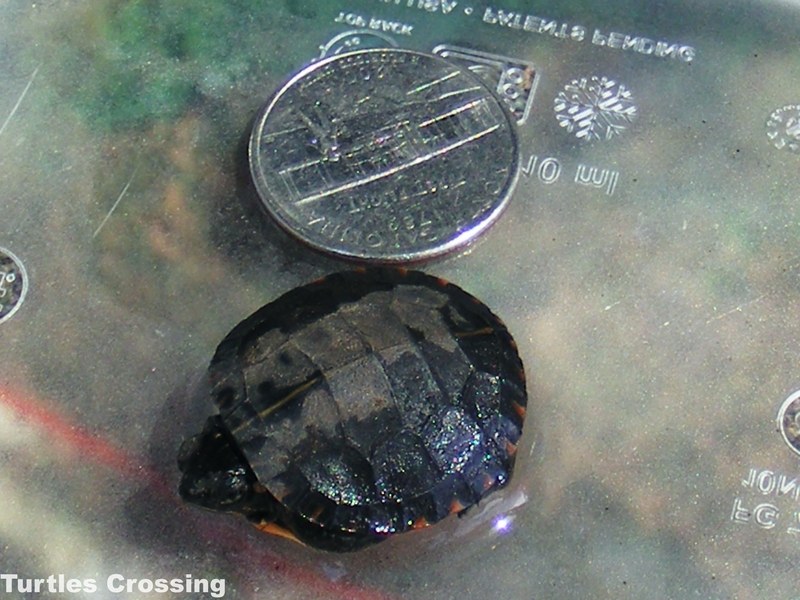 Also, once the eggs hatch in the late-summer to early fall, be on the look out for baby turtles crossing the road to go back to the wetlands and ponds. One hotspot in Chelmsford to be aware of is the crossing at Smith Street right before the Steadman Street intersection. Unfortunately the Turtle Crossing signs that the Chelmsford Conservation Commission had placed here didn’t make it through their first summer thanks to vandals. 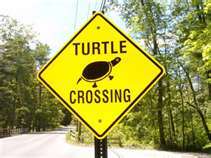 Vandals removed the Turtle Crossing sign off of Smith Street in Chelmsford MA last summer. So remember,”and the turtles of course…all the turtles are free, As turtles and maybe all creatures should be. Dr Seuss from Yurtle the Turtle. Voles, Moles and Shrews, Oh what shall I do! At least we can say the March came in like a lion… However, I am still finding it very hard to believe that the worst of our New England winter is over. I know what you are going to say, “What winter?” In my lifetime I cannot remember having this little snow and such warm sunny days. The lack of snow this winter, however, has definitely put a crimp in my winter tracking activities. It has also provided a little bit more of a challenge, and well, challenge can be fun! That said I am looking forward to some winter tracking this weekend! A couple of weeks ago I went on a “varmint” hunt. Given the lack of snow and some spring “melt,” if you can call it that, I figured I had a fairly good chance of finding sign of some ground-burrowing critters. I started by looking under hanging garden plants and turning over boards or other fixed objects in our back yard. Bingo! What did I find? Shrews! Shrews have been called a lot of things but I think that Sudbury Valley Trustees described them best as “tiny tigers.” They have sharp, spike-like teeth and as the smallest mammal no bigger than our thumb (2 to 4 inches), these creatures spend most of their time running around in above-surface tunnels hunting a variety of bugs and earthworms. They will also eat other shrews, mice, salamanders, snakes and have even been known to kill small rabbits! They may also eat mast, seeds or eggs. Shrews will even cover their “kill” with grass or leaves for a later meal (just like my cats try to do with their food bowls). The shrew does not have grinding teeth and the tips of their teeth have a yellowish color when living, at least in New England. Their size often allows them to escape our attention even though they are fairly common. They, like other ground-dwelling varmints such as mice, voles and moles are considerably active throughout the winter. How do you know if you have shrews, rather than one of the other rodents? That is, other than seeing them. 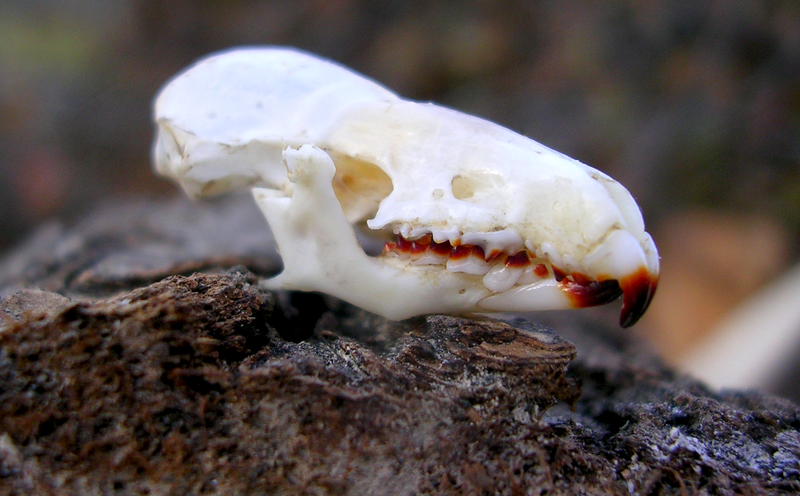 Shrews, being the smallest mammal also make the smallest hole (1 inch or less). 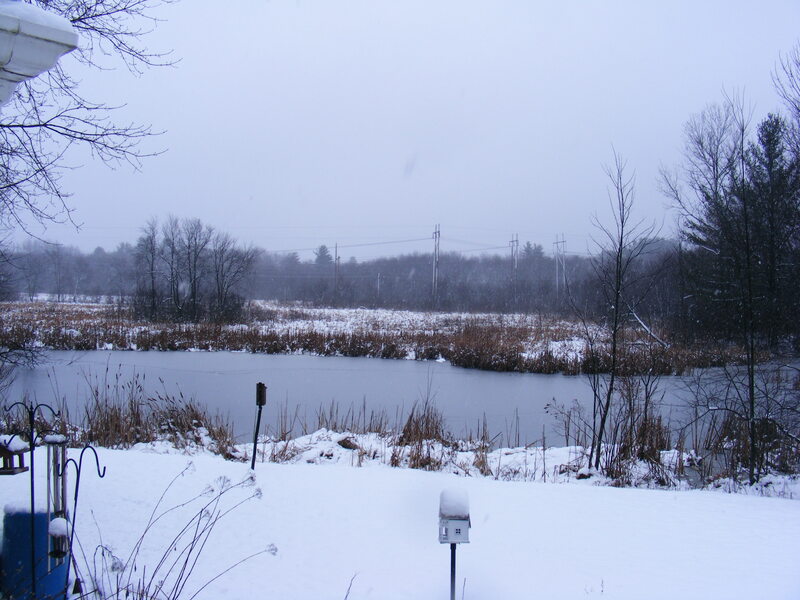 They do not make meandering ridges just under the surface of the ground under snow like voles or moles or create 6 inch round entrance mounds like moles. If I were to catch one, I would find that each front foot of a shrew has 5 toes, where a mouse would only have 4 front toes. 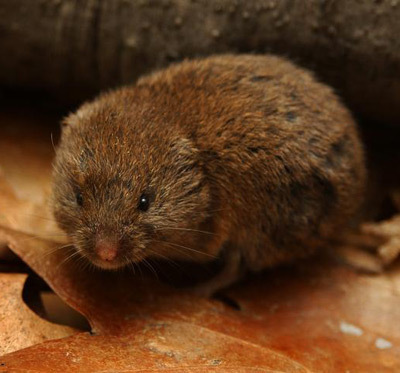 Behaviorally, shrews and voles are much alike. They both make tunnels or pathways in the grass and these runways can be difficult to discern from each other, especially since they will use another animals’ highway complex. The difference is often the size. 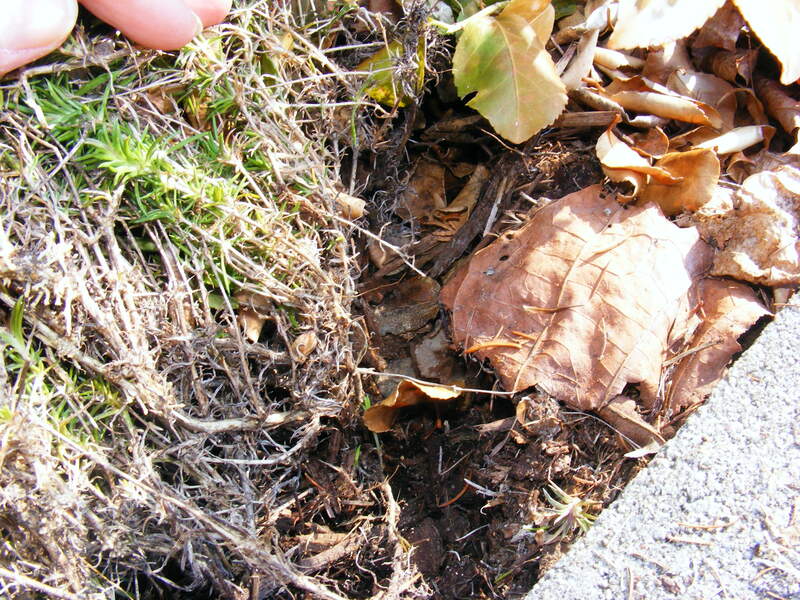 Shrew pathways which can be located in grass or leaf litter are usually less than an inch in diameter, whereas vole tunnels are slightly larger and usually only in grass. They also landscape their tunnels differently. Voles nip or cut the vegetation on the sides and bottom of their tunnels, sometimes leaving only bare earth. Shrews are less fastidious and the grass will often just be plowed to the side. Interestingly, shrews are known to have a putrid, musky odor that makes them unpalatable to predators, so usually the only time they are found is after they have met their fate and been abandoned. BTW this is how I knew I had a good chance of finding them in my back yard… Either the fox or a neighborhood cat had clued me in. It is generally believed that the odor is a reproductive marker as it appears stronger during mating. Some shrews that we will find here in Massachusetts include the short-tailed shrew (Blarina brevicauda), least shrew (Cryptotis parva) and the masked shrew (Sorex cinereus). Now moles,on the other hand, are just plain funky! The most common foods moles eat include earthworms, insect larva and other soil arthropods. They also eat grubs and plant bulbs but not as voraciously as the vole does. 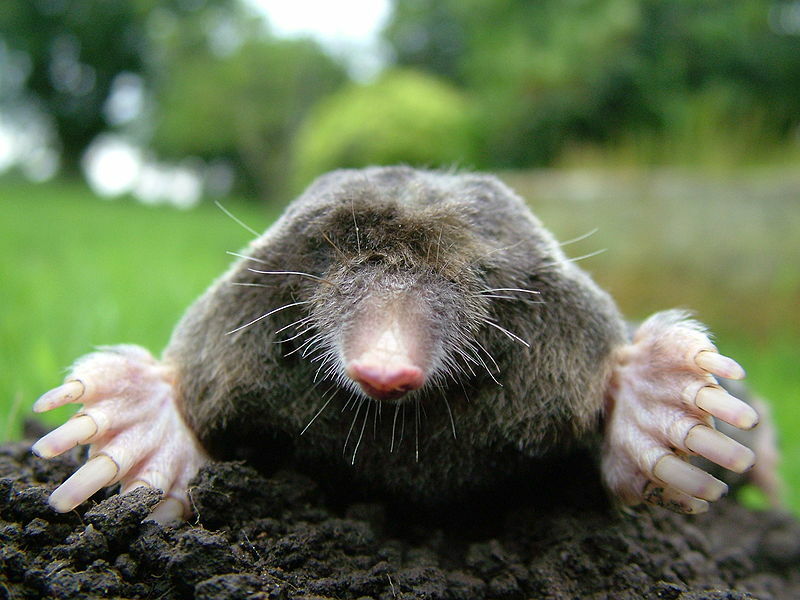 Most mole damage is caused by tunneling in our monotypic lawn, and not by eating plants. Go Moles!!! 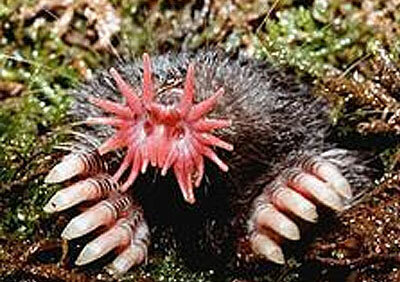 The most commonly encountered moles are the eastern mole, which causes most of the damage found in yards, and the star-nosed mole, which is mostly found digging tunnels in swampy areas and at deeper levels than the eastern mole. Mole feeding tunnels are usually 2 to 3 inches below the surface. Okay, right about now you are thinking that I am absolutely insane because I am happy that I have rodents! Probably true. If they were in my house I would be at Agway right now looking at all kinds of unique ways to remove them from my abode. But what their presence in my yard, and especially in my garden, tells me is that my organic gardening practices are working. I attempt to provide a variety of plants for a variety of native insects. I do not use chemicals or fertilizer formulations other than compost tea or a nature-based organic nutrient source. I leave my leaves and plant structure throughout the winter to provide overwintering area and a food source for the critters. The presence of the shrew means that my garden is beginning to function as a miniature ecosystem with a natural balance of both predator and prey, which on a cold snowy day makes me smile.